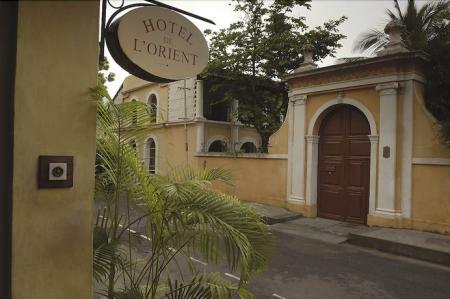 A cocktail of two cultures, this easy-going capital of the union territory of Pondicherry (which spreads out to Mahé, Yanam and Karaikal) has a beautiful French Quarter embraced by a striking Tamil culture. A relevant French cuisine and a heritage of colonial architecture are a boon to locals and travelers alike. Whether you want to go surfing at one of the beautiful beaches, take a walk by the Promenade, or sit back and relax at one of the chic boutiques in the French colony, this quaint little town has got it all! 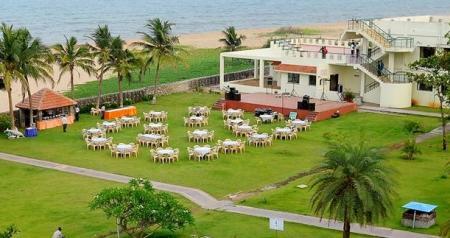 Big Beach, Puducherry spans across 24 acres with a spectacular beach front. With a wide choice of gourmet cuisines, a Goan style beach shack, an infinity pool with a chilled out pool bar and a happening hookah lounge, this is an ideal place to unwind. 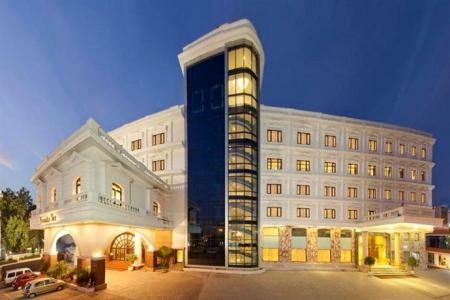 Barely a 5-minute drive from Puducherry Railway Station and Church of the Sacred Heart of Jesus, the hotel offers massage, tour desk and free Wi-Fi. 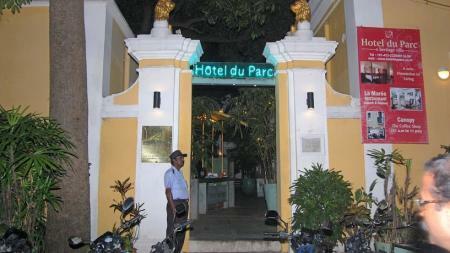 Tucked uniquely amidst the hustle and bustle of Pondicherry is the exquisite Heritage Villa - Hotel du Parc. Magically located within a stroll's distance from the Bharathi Park, Scenic Beach boulevard, Sri Aurobindo Ashram, Museum and the city's beautiful shopping hub, Du Parc takes living and dining to a new dimension. 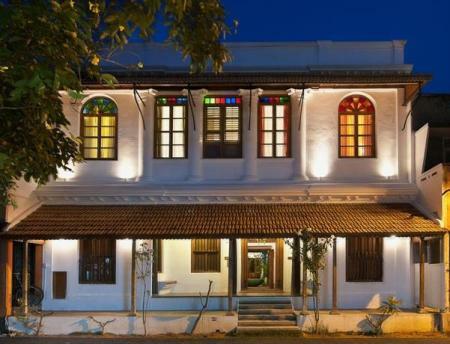 The marvelous 18th century architecture of this mansion and its Creole cuisine takes you back to a graceful era that combines the very essence of Pondicherry. This elegant hotel, walking distance from the beach, has an outdoor pool, a poolside lounge, a rooftop restaurant and a spa for you to unwind. 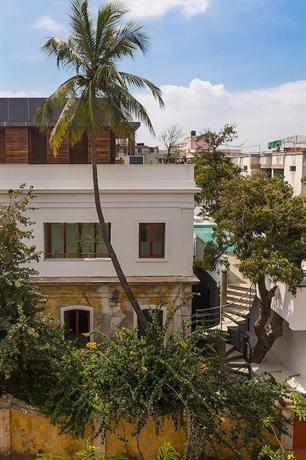 Its perfect location allows you to indulge in an activity of your choice, just blocks away-be it the beach, shopping at Mission Street or a more peaceful vibe at Sri Aurobindo Ashram. This cosy home away from home is perfect if you want to cook your own food in the shared kitchen or meet people travelling from different places in the common garden area or terrace. The colourful paintings in each room are also something to marvel at. 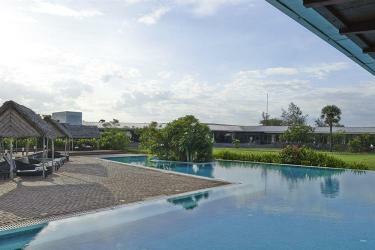 Enjoy the wonderful views and the hospitality at this quaint little heritage property. 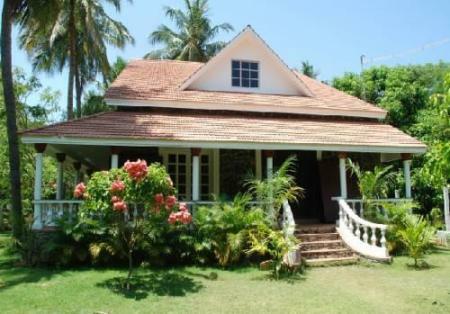 Dine at the on-site restaurant while you look at the sea from this well-located property. 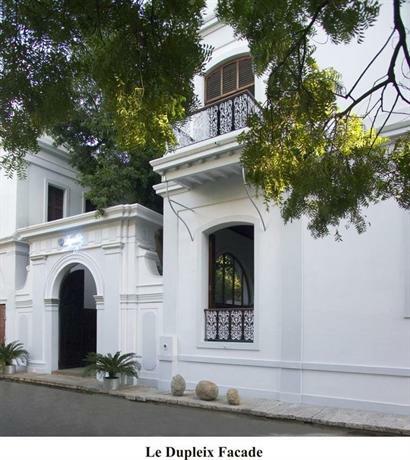 Walking distance from Sri Aurobindo Ashram and close to the city centre, enjoy the comfort of Villa Helena's vintage-styled, spacious rooms. 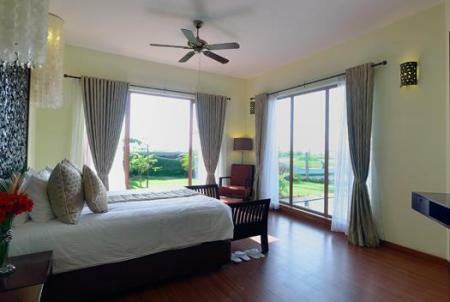 Mango Hill, a gracious Indian hotel with an unmistakable French touch, located on a hill planted with mango and cashew trees between Pondicherry and Auroville, on the Bay of Bengal. An ecofriendly haven of serenity just outside the city, where Parisian savoir-faire meets the charm of the Indian countryside. 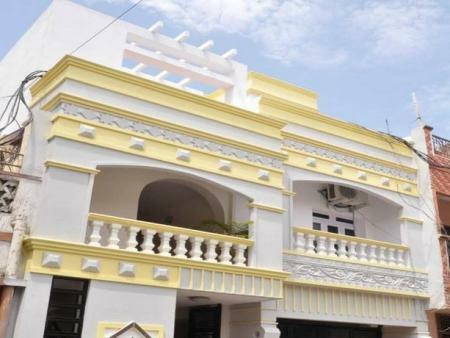 Being a tourism hub, Pondicherry has several comfortable places to stay with a varied price range. The city is divided into two - the French Quarter or White Town, and the Indian Quarter, both of which provide tourists with comfortable accommodation. You'll find luxury resorts and guesthouses just a stroll away from the beach or a tourist spot, so you can choose accordingly. The French Quarter is dotted with charming boutique stays where you can enjoy your break without burning a hole in your pocket. To name a few, Villa Helena Heritage Guesthouse, Hotel Du Parc, and L'escale are lovely choices. 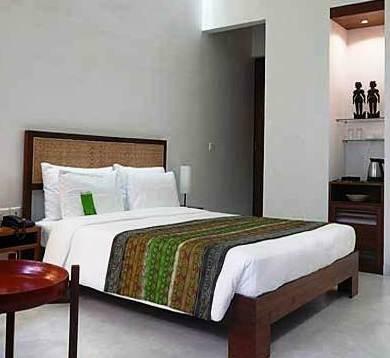 If you're looking at more luxurious stays in the area, The Promenade, La Villa, and La Villa Shanti will do justice. 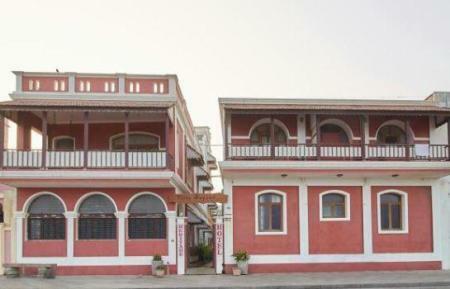 Guesthouses like Hotel Atithi and Anandha Inn are good places to stay in the Indian Quarter of Pondicherry. 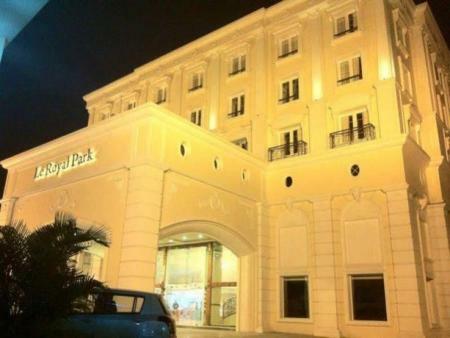 The guesthouses in this area are quite ideally located in the heart of the city. 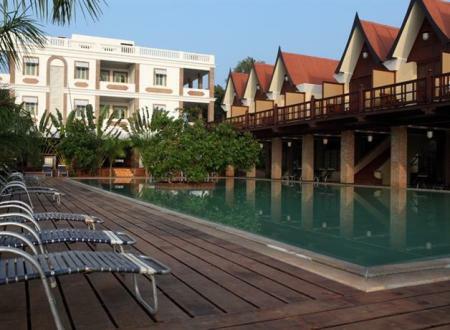 Pondicherry, being on the coast, also has many beach resorts that are sure to make your stay more memorable. 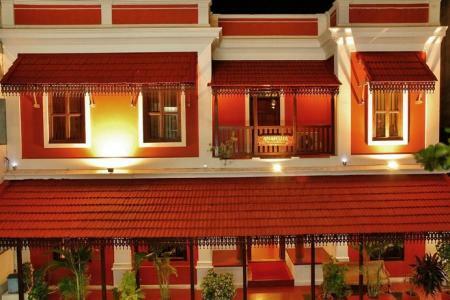 Stay at resorts like St James Court Beach Resort, Le Pondy, The Windflower Resort and Spa, and Zest Big Beach to wake up to the sound of waves, and spend the day by the Bay of Bengal. Auroville is about 15 kms away from the heart of Pondicherry and offers a more relaxed pace and countryside atmosphere, close to the famous Matri Mandir. 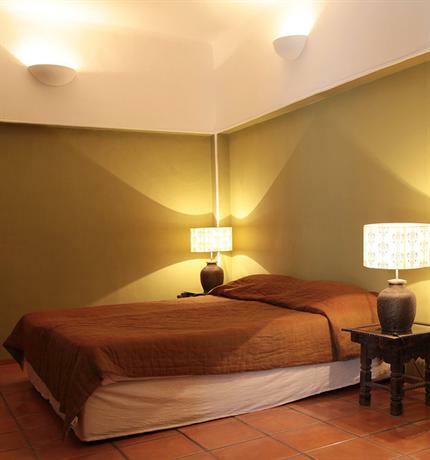 You will find several affordable guesthouses as you near the area, as well as within Auroville. Just walk into any of the guesthouses that are almost at every corner and be surprised by dirt cheap rates and humble hosts. Also, in the heart of Auroville is a comfortable visitors' guesthouse where you can mingle with people from different ethnicities. 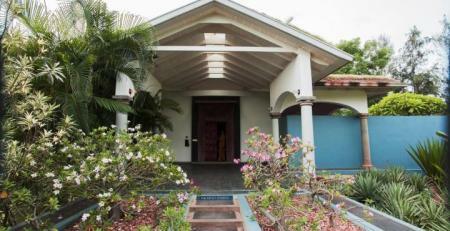 If you're looking for something more upscale, consider staying at Hotel Mango Hill. How do I get to Pondicherry? By road - Pondicherry falls on NH 45, which is connected to major South Indian cities. Chennai is 150 kms away, and Bangalore is 320 kms away. You can either drive, or hire a taxi to reach Pondicherry. The drive from Chennai to Pondicherry is on the East Coast Road, and is preferred by many because of the scenic beauty on the drive. By bus - There are several private and state-owned buses that regularly ply to New Bus Stand, Pondicherry from Chennai, Thanjavur, Trichy, Coimbatore, Bangalore and Madurai. By train - Puducherry Railway Station is well connected to major cities in India like Delhi, Kolkata, Mumbai, Chennai, Nagpur, Bangalore, Coimbatore, and Hyderabad. It's wise to check train schedules before you make further plans. 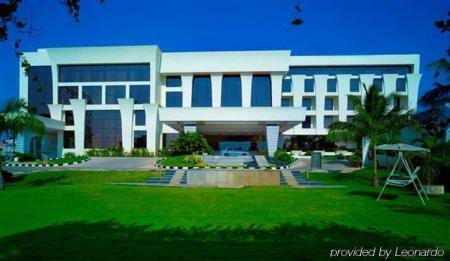 By air - Chennai Domestic and International Airport is about 150 kms away from Pondicherry. The city is well connected to major cities in India and abroad. 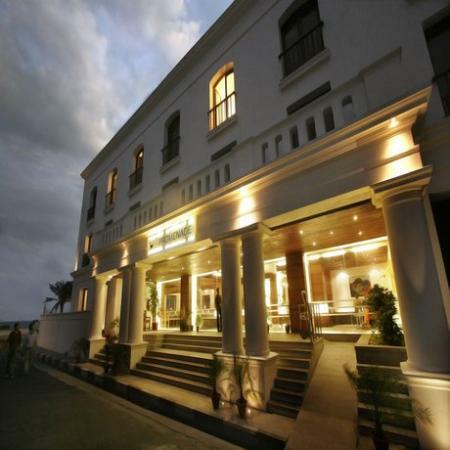 Once you arrive at Chennai, you can hire a private taxi, or take a train or bus, to get to Pondicherry. How do I get around in Pondicherry? The most convenient and enjoyable option is renting a scooter or bicycle by the day. 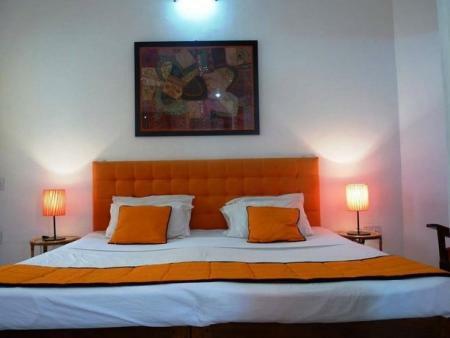 There are rental outlets in MG Road, Mission Street, as well as other places. 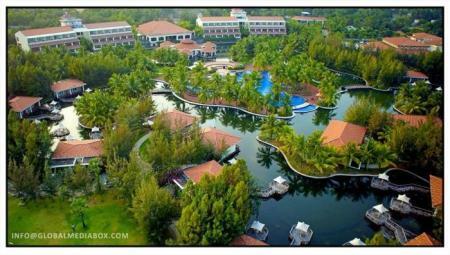 You can also get your resort to hire one for you. You can also hire a taxi or autorickshaw to move around town. If you're lucky, you might even see a share auto pass by and they charge almost nothing; so hop on and meet new people on the way to your next stop. Pondicherry Tourism Development Corporation operated daily buses to take tourists around the city. The bus route covers most of the popular sightseeing spots in town. 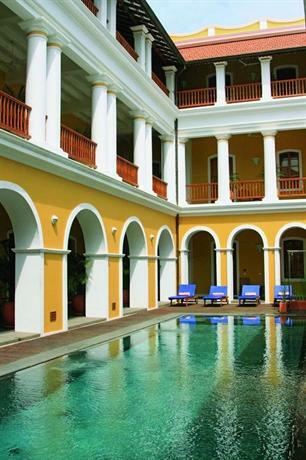 Pondicherry is one of the most popular tourism destinations in South India. It is located on the Coromandel Coast, which is why the climate in the region tends to get humid. 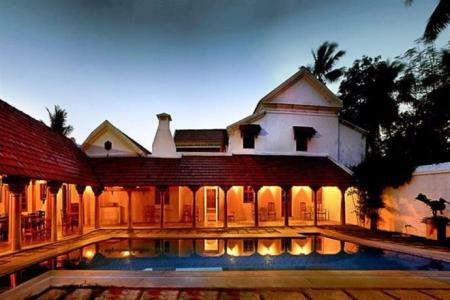 October through March is the best time to plan a holiday to Pondicherry as the weather is most comfortable then. Summer (March till June) may not be the best time for sightseeing because the weather is hot. 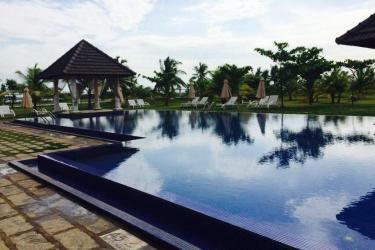 But since it's a lean season, prices for accommodation will drop, and popular tourist spots won't be crowded. The showers in June make it a little more bearable. This is a great time to try your hand at different water sports at the beaches in Pondicherry. Although the intensity of rainfall in the monsoon (July till September) is irregular, it is the perfect time to enjoy the natural beauty in Pondicherry. The city celebrates the birth anniversary of Sri Aurobindo in August, and the festivities are worth experiencing! Winters (October till February) in Pondicherry are pleasantly cool, which makes it the best time for sightseeing. Temperatures range from 20 degrees to 29 degrees celsius; visitors may like to carry light woollens. Known as the "French Riviera of the East", Pondicherry is a harmonious amalgamation of 2 main cultures - French, and Tamilian. An interesting collection of heritage churches, buildings, and temples- like Our Lady of the Immaculate Conception Cathedral, Notre Dame Des Anges, Sri Manakula Vinayagar Temple, and the French Quarter- awe tourists with their glorious architecture. With charming buildings and cafes, roaming streets of French Town is an experience by itself. 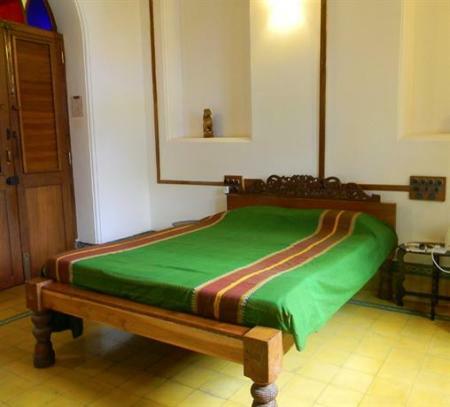 The Sri Aurobindo Ashram, Pondicherry Museum and Jawahar Toy Museum are worth a visit. Drop in at the Anglo French Textile Mill, and the Sri Aurobindo Handmade Paper factory if you'd like, and pick up handmade souvenirs to remember your trip by. You can't leave Pondicherry without spending a day or two at Auroville. The region oozes harmony and tranquility - you're sure to feel at peace being one with nature here. At Auroville, making a trip to Matrimandir is a must! You have never "heard the sound of quiet" until you've visited this monument. 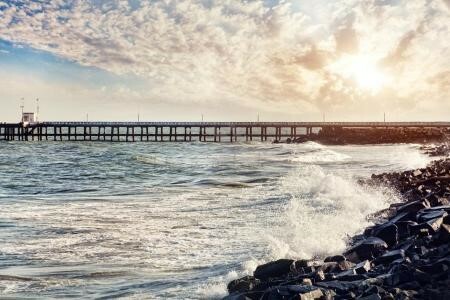 Spend time at the beaches of Pondicherry. Mahe beach, Promenade beach, Aurobindo beach, Paradise beach, Karaikal beach, and the most popular Serenity beach are perfect for relaxation, recreation, and to catch the setting sun. Take a walk down the scenic Promenade beach and stop to take a snap in front of the many monuments like the Mahatma Gandhi statue, and French War Memorial. Take a surfing lesson at Serenity Beach or visit Paradise beach for its lovely swaying palms and vast sandy shores. Pondicherry may be a small city, but there's a boat-load of things to do! Head to the Aurobindo Ashram or Matrimandir and lose yourself in meditation. Rent out a cycle and hit the streets- it's the best way to discover the city, and get a glimpse of the mixed cultures and architecture. Visit the many beaches that Pondicherry calls its own, and get to participate in fun water sports, including surfing. The cocktail of cultures brings with it a spread of delectable fare that is sure to delight your taste buds, so choose a different cuisine for every meal and enjoy your gastronomic adventure! Pondicherry is also the only place in the south of mainland India that you can experience scuba diving. Temple Adventures is the most established dive center here, so make sure you drop in and book yourself an unforgettable diving escapade! 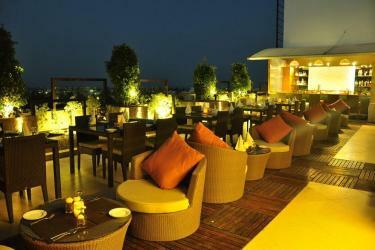 Pondicherry holds an interesting blend of cultures, which shows in its diverse cuisine. French, Italian, Chettinad, all kinds of Indian, Asian, Continental, and coastal cuisines - foodies hit the jackpot in Pondicherry. Finish up with a trip to an Italian gelato parlour for some delicious ice-cream. Pondicherry is a safe city, and the people are welcoming. Pondicherry is also rated one of the safest cities in India for solo women travelers. However, like anywhere else in the world, it?s good to keep your belongings safe and stay alert. What are the commonly spoken languages here? English, Tamil, Hindi and French are the most frequently used languages in Pondicherry.